A time of excess and fun; the 1980’s saw big hair, huge shoulder pads, bold makeup (for men and women), making the decade a hugely popular era for a party or corporate event. 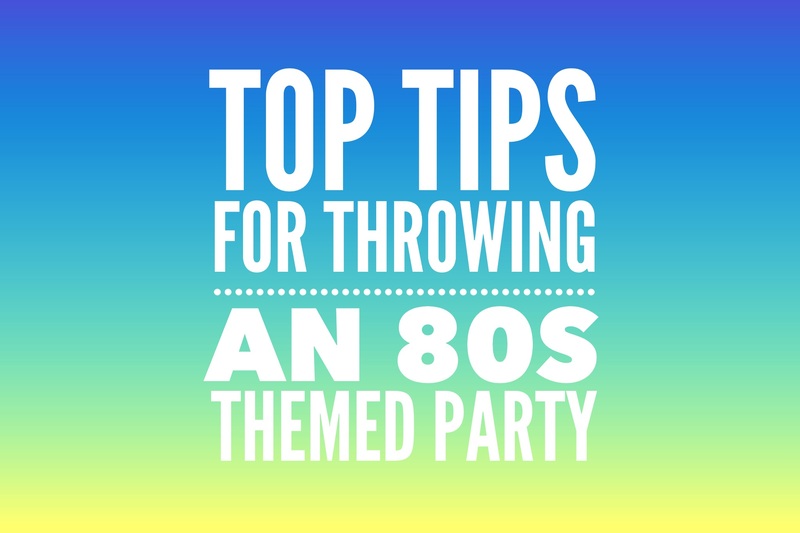 Follow the Function Junction’s top tips on throwing an 80’s themed party packed full of nostalgia. Hosting an 1980’s themed party definitely means that you and your guests outfits should take influence from the flamboyant era and dress up for the occasion. Pop culture hit it’s peak, with pop stars such as Michael Jackson, Cyndi Lauper, Boy George and Madonna leading the way in the style stakes. Neon, lace, bold patterns, plastic jewellery and ra ra skirts are key for the ladies, whilst men should look to Adam Ant and Duran Duran for 80’s fancy dress inspiration - think front pleated trousers, pastel coloured blazers with pushed up sleeves and upturned collars and a mullet. When it comes to memorable 80’s hits, the list is pretty much endless. The best-selling albums in the 1980’s include Michael Jackson’s - Bad (1987), Madonna (1986) - True Blue and Kylie Minogue self-titled album in 1988, whilst Wham! and Frankie Goes to Hollywood claimed top spots for best-selling singles during the decade. Whether you’re organising a large or small scale 80’s themed party or corporate event, the Function Junction have numerous bands who put on a brilliant show and can play a set covering many 80’s songs. 80s Phantazie are a high-energy 80’s tribute band who play a 90 minute set full of 80’s greats, such as Salt & Pepa, Dead or Alive, Chaka Khan and Peter Gabriel. 80's Phantazie can also supply their own PA and lighting rig, for an ultra-professional performnce. Other brilliant function bands who cover 80’s songs perfect for creating that party atmosphere include Groovetique, Lost in Music and also Fuze. Simply call 0800 0343232 or e-mail [email protected] for more information. 1980’s themed party decoration is probably the easiest party theme to follow, as online stores are packed with everything you need to make your venue look amazing - Party Packs and Simply Eighties are great choices for 80's party decor. Take inspiration from famous 80’s films, computer games and music and pin up lots of iconic posters for a cheap but authentic decoration idea. For an event with a big impact, why not look to hire large 80’s props from Event Prop Hire. They include Back to The Future film props and even huge neon ghetto blasters! If you want to take your 80’s party theme even further, having popular 80’s food and drink to serve to guests is a must. Take a trip down memory lane, with nostalgic culinary buffet classics like cheese and pineapple on sticks, scampi, prawn cocktails and trifle. Cocktails made from brightly coloured liquors like Blue Curacao and grenadine are key to match the bright decor, and also creamy drinks like the legendary Pina Colada. Having a Soda Stream at the bar servings soft drinks is also a great option for non-drinkers. As your guests settle in to your 80’s themed party, make sure there are suitable games from the era that they can entertain themselves with. Lay out Twister, Rubik’s cube and Buckaroo, or if your budget will stretch to it, hire arcade game consoles from The Retro Games Party with Atari games like Pac Man and Space Invaders. Find 80’s annuals (Jackie, Beano, Dandy) and superhero comics from charity shops and place them on tables for guests to flick through whilst they have a drink and reminisce together.